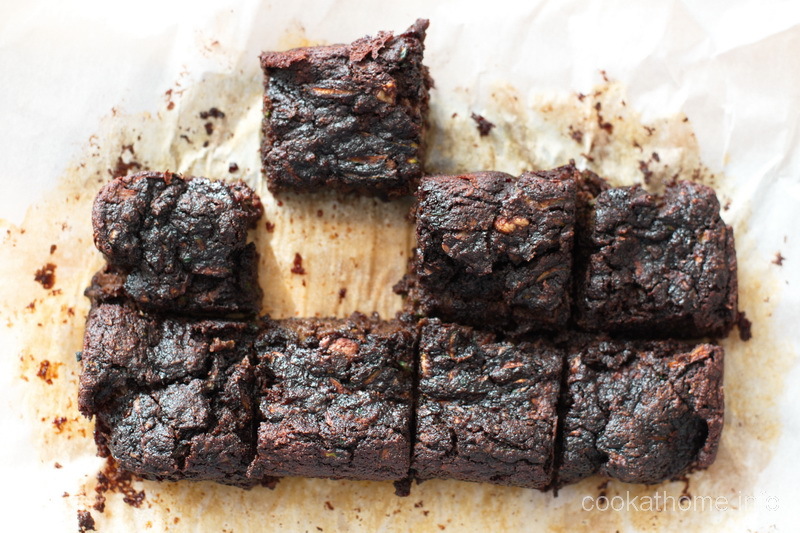 A rich and moist gluten and dairy free brownie with the secret ingredient of zucchini. And no refined sugar. 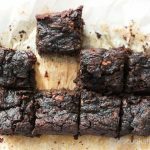 Double bonus for these zucchini brownies! Healthy brownies with a sneaky vegetable ingredient? Yep – that’s what these zucchini brownies are. I have had so many compliments on my brownies recently (all flavors – see the recent Brownie Challenge) and I have been postponing posting this recipe for ages. This recipe started out when Henry’s teacher (thanks Janet) gave us a whole pile of shredded zucchini, and showed me her never-fail brownie recipe. Me, being me, decided to try to make this with no refined sugar, and make them slightly healthier. After a few iterations, this one won hands down. It looks a little ugly, but that’s because it’s just so moist! I’ve also made this with just dates as a sweetener – you just need to process the ingredients in a food processor, rather than with a bowl and a spoon. But it’s worth it. Trust me! You can frost these with my healthy frosting (recipe here) or just a simple peanut or almond butter / honey or maple syrup / cocoa topping and that worked really well also. Or you could do a normal buttercream frosting, but that would be defeating the purpose of having no refined sugar in the brownie! Anyway you wish, try these and hopefully, you’ll be pleasantly surprised! Preheat oven to 350F. Prepare an 8" x 8" baking pan with parchment paper or baking spray. Add wet ingredients, except zucchini and, and combine thoroughly. Fold in the zucchini and nuts. Pour or scoop into prepared baking pan and cook for 25-30 minutes. Leave to cool in pan for 10 minutes before removing. Cut into 16 bars when completely cool.